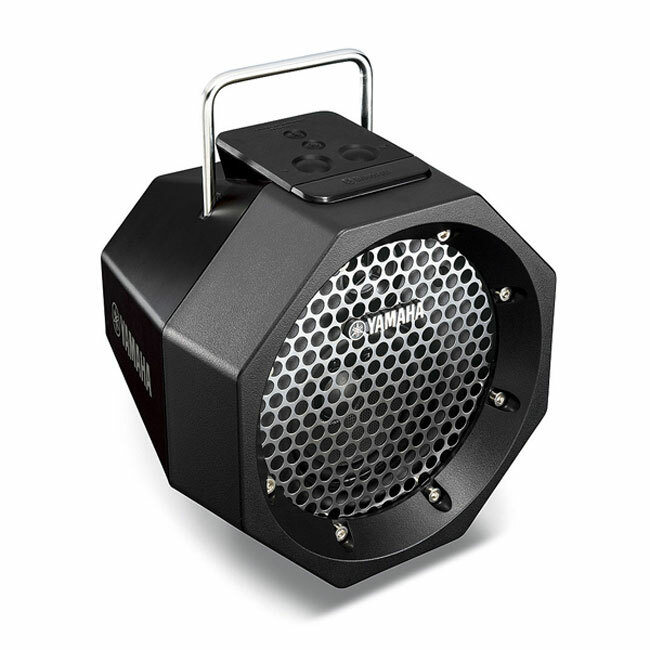 If you’re in the market for a new portable Bluetooth speaker to take with you on the go, and you like the industrial look of stage speakers, check out the Yamaha PDX-B11. It looks like some sort a speaker or spotlight you might find on stage at a rock concert. The speaker is small and portable Bluetooth speaker with a built-in carrying handle. The speaker will sell for $179.95 and is compatible with any device supporting Bluetooth. It also has a 3.5 mm line input for devices that don’t have Bluetooth. The wireless range is about 33 feet and can run on AC power or battery power. Battery power comes from six AA batteries, which aren’t included. The speaker has a four-inch cone woofer and a 1 3/8 inch tweeter. The speaker is offered in gray or black and can be ordered now.